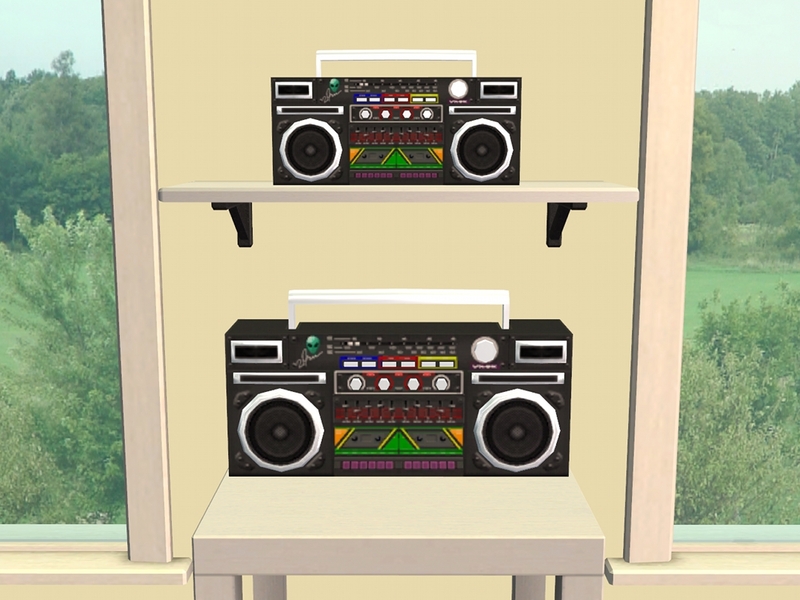 Mod The Sims - Boombox in 2 Sizes. I noticed a WCIF HERE by cows, as no one had responded I thought I would give it a go. 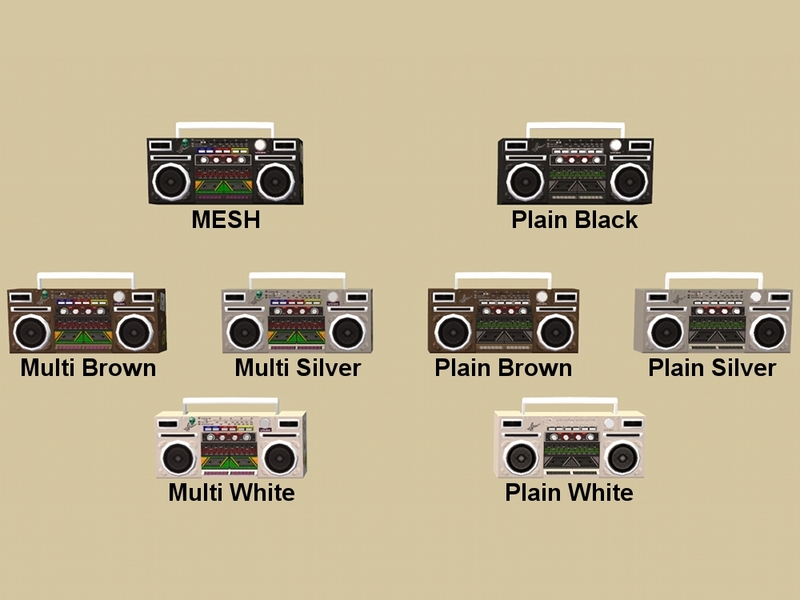 After extracting the Boombox from the AL "Dance-Off Break Dancer Mat" I realised it was wider than an end table so I made 2 smaller sizes, one to fit neatly on most 1 tile tables and a smaller version, I then did 7 recolours of each size, some with all the stickers and some plain. 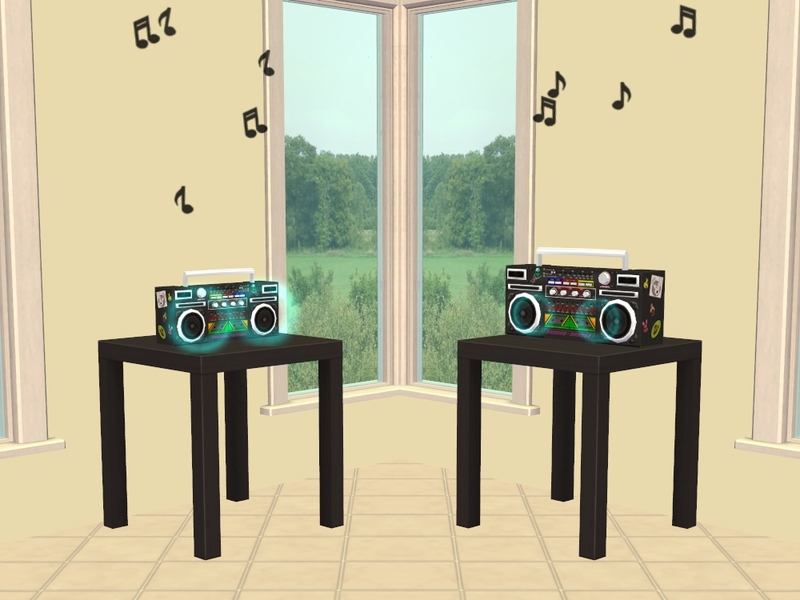 Rosebine had the same idea and uploaded a full size boombox, before I had time to upload mine, you can find the "BreakDance BoomBox Stand alone" by Rosebine HERE. Both Cloned From: Compact Stereo by Lo-Fi Audio. Found: Buy Mode > Electronics > Audio. Price: §79 & §99.